Creative Nature Bitter Apricot Kernels look like tiny little almonds, but they shouldn’t be confused with them! They are the little stones that are inside apricots which are normally white, but when dried, turn a beautiful brown colour. These Creative Nature Bitter Apricot Kernels have high levels of B17 (amygdalin) in them, which is known to break down Hydrogen cyanide. Once sold as a food product suitable for human consumption, we are now selling our Bitter Apricot Kernels for cosmetic use only. This is because our apricot kernels contain 150mg/kg amygdalin and the FSA (Food Standards Agency) has set a maximum level of 20mg/kg for all apricot kernels sold for human consumption. This is part of EC regulation 2017/1237. Please click here to read the letter issued by the FSA to everyone selling Apricot Kernels. This means, that in order to remain compliant with the FSA and keep our customers health and wellbeing as the driving force behind Creative Nature, we can only sell our Bitter Apricot Kernels as a cosmetic product that is widely used in body scrubs, facial scrubs and as a beauty exfoliation ingredient. 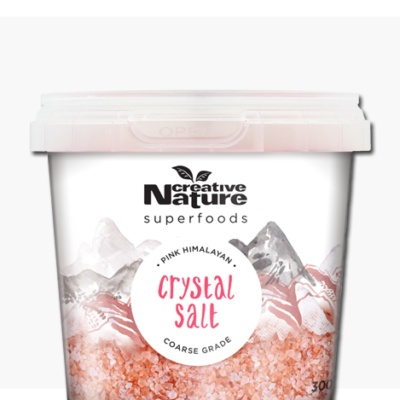 They can be easily used for this purpose- grind these Creative Nature Bitter Apricot Kernels up using a pestle and mortar and use either alone, with our Fine Pink Himalayan Crystal Salt or even add some Coconut Oil to create a beautiful and all-natural body scrub to keep your skin healthy and glowing! 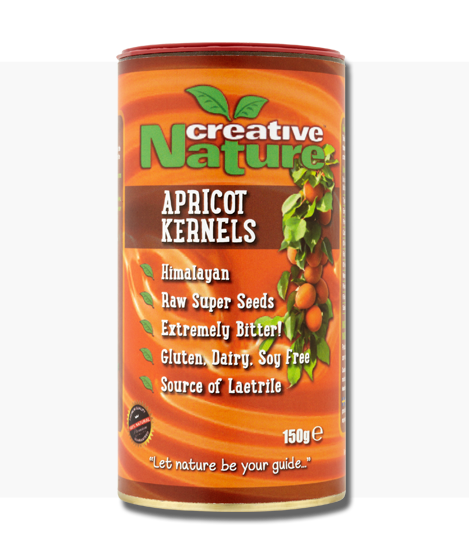 We source our Bitter Apricot Kernels direct from the Pakistan region of the Himalayas, where we believe the highest quality apricot kernels are produced! Please remember, this is a cosmetic ingredient used in body scrubs, not sold as a food. Ingredients: 100% Bitter Apricot Kernels, and that’s all! 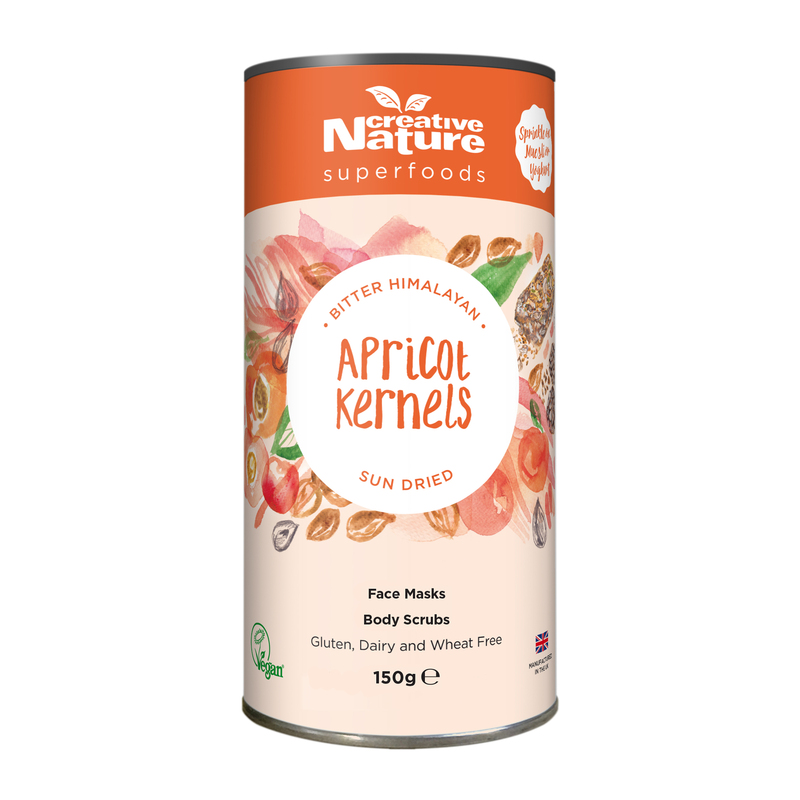 Our Apricot Kernels are not for human consumption and can easily be used for various homemade beauty treatments! Grind up in a pestle and mortar and use in body or facial scrubs to help exfoliate the skin. 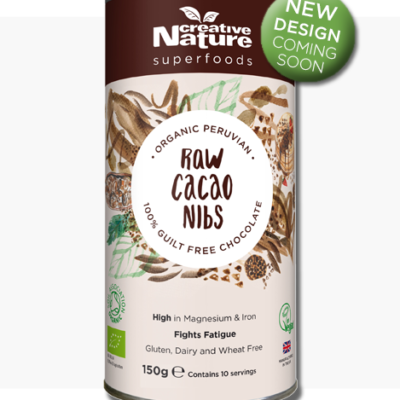 If you create something incredible and would like to see it featured on our Instagram, please email paula@creative-nature.uk.com with your recipe and some images of the finished product. Please take a few pics with our products in too! Excellent kernels, these are keeping me well. If you soak overnight in pure water then rinse, you will not have any digestive upset taking these. These apricot kernels are very good quality, fresh and bitter – just as they should be. I want to order some more but you are out of stock at the moment. I hope they come back into stock soon. Received my bitter apricot kernels today, quick delivery, packed very well. I recently purchased your product and was pleasantly surprised to receive what I had ordered as one of your competitors (a ‘seller of seeds’) is flogging bogus merchandise. Thank you, I will be using you again in the future. I take these for the laetrile; Himalayan kernels are the most bitter; they contain more than others and are bitter because of the hydrogen cyanide that is safely locked away and will do us no harm. I have no concerns about this. Laetrile does contain the cyanide radical (CN). This same cyanide radical is contained in Vitamin B12, and in berries such as blackberries, blueberries and strawberries, and apple pips for example. You never hear of anyone getting cyanide poisoning from 12 or any of the above-mentioned berries, because they do not. If the Hunza peoples can eat them almost like we like peanuts, cashews and so on and live to a ripe old age, ergothe human system is unaffected. I would accept though that probably limiting intake is a sensible thing to do. One rule of thumb is to to have one per 10lbs of body weight, and not take any more than 6 per hour. Having said that, I grind mine up and have a teaspoon in juice twice a day – equivalent to 30 per day. 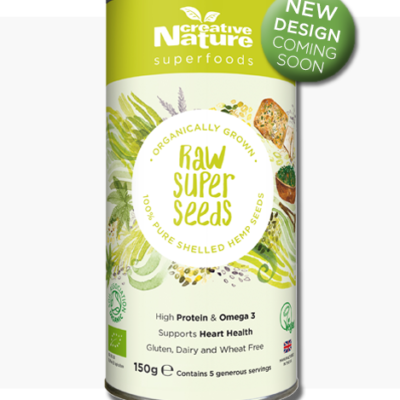 I built up to it gradually, and have no detectable side effects and am happy with this as part of my staying healthy supplement and eating regime. I would suggest to anyone that they read around the topic; there is plenty of genuine information out there as well as the pseudo-science of fake news put out by the anti-supplement, anti-vitamin industry! Hello, I’ve heard many great benefits regarding apricot kernals and have just purchased your product. Great value for money! I ate some but then realised that they must be washed. What’s the purpose of washing them? And just to confirm – they’re not sun – dried or roasted? I have been taking about 11 of these apricot kernels a day straight from the tub for quite a while now. I never cook them as that would just kill all the goodness and defeat the whole point in taking them. I actually really like the taste of them and I would never take notice of the medical profession who warn you not to take these and then continue to poison people with drugs. I prefer to make up my own mind about what is good for me and my health and as long as I can still get these apricot kernels I will keep on taking them. Thank you for supplying a great product. I have just purchased this product today and noticed it is recommended that they are roasted/heated before use. This is not mentioned on the tub instructions for use so i am a little confused… do they need heating before consumption or are they safe to eat in their raw form straight from the tub after rinsing ? hi,very unsatisfied with this product.I bought batch 56922,150 gr in local pharmacy and this box have at least 1/4,1/5 amount of spoiled seeds. Size of seeds are very different and if bigger one are good,white under skin and taste is nice-bitter,smaller one are yellow inside and have rotten taste. Look like it is mix of bad and good seeds. Please be careful with yours sourcing and check not only how they look outside but actually open them.